An ‘anti-disaster’ officer who won national recognition for leading the Olympic torch delivery through the UK in the London Olympics is blazing a new trail up policing’s promotional ladder. Commander Jane Gyford, currently responsible for all operational policing and security in the City of London, is the next deputy chief constable for Cambridgeshire Constabulary. She takes up the position on May 13 from incumbent DCC Alan Baldwin who is retiring after three years in the role. For Cdr Gyford, the NPCC lead for UK Disaster Victim Identification and Casualty Bureau, it will mean a step away from her roots in the capital – having begun her career in March 1992 with the Met Police before joining neighbouring City of London. The new deputy chief says she is “keen to carry on” Cambridgeshire’s tri-force collaborative work that has already progressed with Bedfordshire Police and Hertfordshire Constabulary. Cdr Gyford’s 27 year-career in the service reveals an impressive policing pedigree, having served in public protection and safeguarding, national counter terrorism and domestic extremism intelligence, child abuse and sexual exploitation, anti-corruption proactive investigations, homicide and major incident enquiries, specialist firearms and organisational change. One of her stand-out roles, when deputy national co-ordinator for domestic extremism and strategic protest intelligence for the UK, was leading on the torch delivery through the UK in 2012 for the Olympic and Paralympic Games in London within the national domestic extremism unit. She was subsequently awarded a commissioner’s commendation for professionalism, and was awarded leader of 2012 for her role during this event. Cdr Gyford joined the City of London Police in June 2016 as detective chief superintendent heading up the intelligence and information directorate. There she oversaw the screening and assessment of force intelligence, and informed and shaped the force’s tasking and co-ordination process to give direction and accountability to its resources. She became commander operations and security for the force in February 2017, holding responsibility for all policing operations and investigations, and protective security. As well as being a specialist strategic firearms commander, she is also a nationally qualified senior investigating officer, having served in excess of 10 years within the Met’s homicide command. 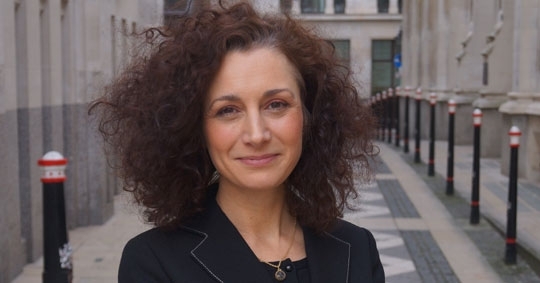 She is currently leading the Transformation Programme to make the City of London a more effective and efficient force alongside the Secure City programme to design a future proof the City and police force are in line with the 2025 policing vision.